Having survived the harsh climate of the Serbian wilds for oh, months now, Lara finds herself on the scent of a new story, an unsolved mystery. That mystery is the Baba Yaga, and here are my thoughts. 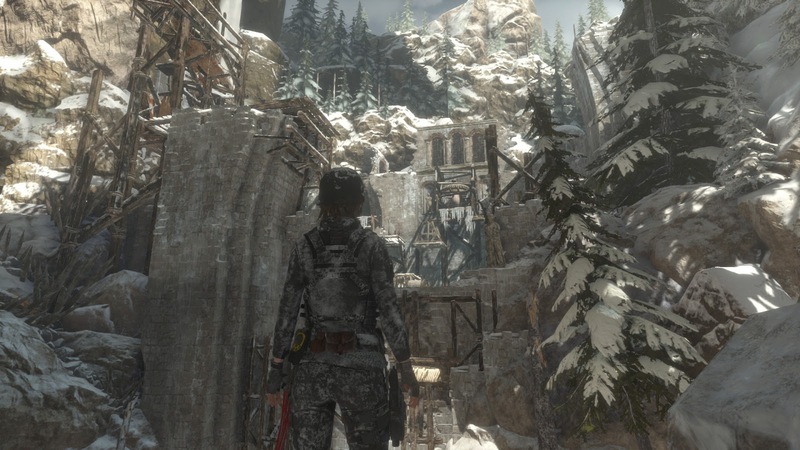 The trail of the witch begins back at the Soviet Installation, the first open world area of Rise of the Tomb Raider. Investigating signs of a bloody struggle, Lara happens upon Nadia, a local girl with a poor grasp on modern firearms and a missing grandfather, who’s hell-bent on revenge against the Baba Yaga. The Baba Yaga is real world Slavic myth, a witch or crone, who flies around in an oversized mortar and wields a proportional pestle. When not terrorising the birdlife, Baba Yaga is said to reside in a hut that stands on chicken legs. 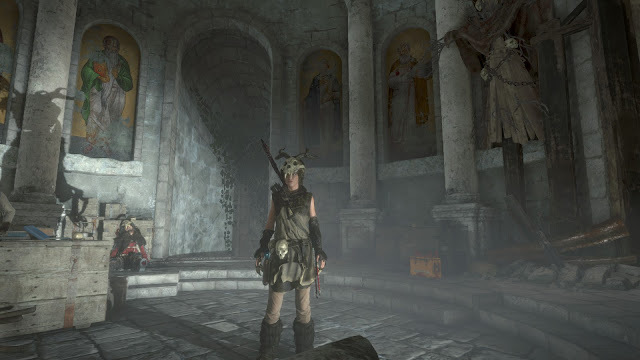 In Rise of the Tomb Raider the witch has taken up residence in the Wicked Vale, the one new environment of the expansion, and before long Lara has her run in. As is typical for this incarnation of Tomb Raider, there is some ambiguity as to the reality of the myth, Lara picks her way through local legends and rational explanations – oh and drugs, or rather hallucinogenic pollen. Despite foreseeing the twist some time before the reveal – I don’t believe it was intended to be unforeseen – I came away from the story with some questions, an air of uncertainty I’m happy to never have clarified. I squeezed about two-to-three hours out of the expansion, which is exactly what it’s description promised, of those few hours I would estimate about a third, maybe more was spent in previously explored regions. That wasn’t as problematic for me as it might sound; I hadn’t fully trawled those locales, but it is worth considering if you have scoured that landscape. Then again if you’re that dedicated you may pick this DLC up on principal anyway. There are a couple of good puzzles, one of which is embedded into the final boss fight, resulting in an encounter considerably more rewarding than the base game’s own finale. A few short, but well written side stories are delivered once again through optional audio logs. 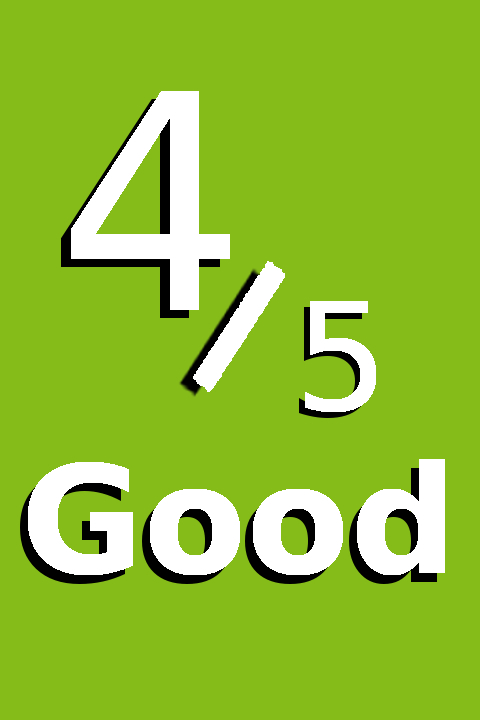 Without the scale of the main story, the mystery doesn’t deepen to the same extent, nor are there quite so many angles; nevertheless, I happily combed each area to find them. ‘New’ enemies confront Lara, antlered servants of the Baba Yaga; they are functionally identical to the previous enemies, appearing as archers and swordsmen. I’m afraid the general lack of precision that accompanies just about every interaction one has with the Xbox One, resulted in the a sheaf of unusable screenshots, you’ll just have to take me at my word when I say the kaleidoscopic ball of gore above is an enemy. In addition to the sense of achievement earned of a mystery at least partially solved, Lara comes away with a couple of rewards. The first is the questionable Wraithskin outfit, fitted with antlers of its own, as seen below. With the second being the Dreamstinger bow; when equipped Lara’s poison arrows become laced with the hallucinogenic pollen mentioned earlier, turning the resulting cloud purple, it has no other effect as far as I can tell. 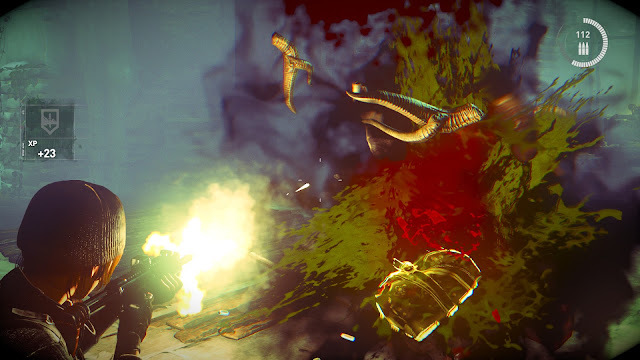 Baba Yaga: Temple of the Witch is a decent little side story; a bite of that Rise of the Tomb Raider goodness, like a saucer of mints served with coffee after a meal. I enjoyed the opportunity of another adventure with Lara, the new environment has some interesting areas, puzzles, and encounters. But the environment isn’t an open one, it’s a single tomb, albeit a glorified one, as a result I spent more time than I would have liked running around the old locales. Unlike the previous Endurance mode expansion, Baba Yaga is more of the core experience, not a lot more I grant you, but well worth seeing if you enjoy Rise of the Tomb Raider as much I do.